Did I mention that I am loving bows this season? These ridiculously cute double bow peep toes are totally my fav. And a Valentino look-a-like for under $30? I am so in. What do you think? Would you wear theses. Leave your thoughts below. 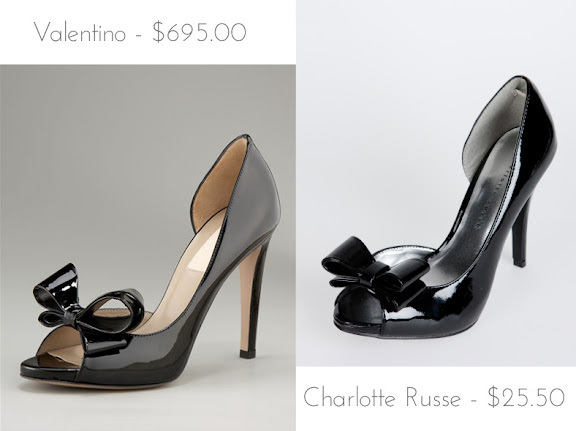 Honestly, I think I like the Charlotte Russe pair's lower bow profile better! These shoes are absolutely beautiful! I would want to wear them all the time. I also agree with MarilynT the lower profile is better on the Charlotte Russe pair!